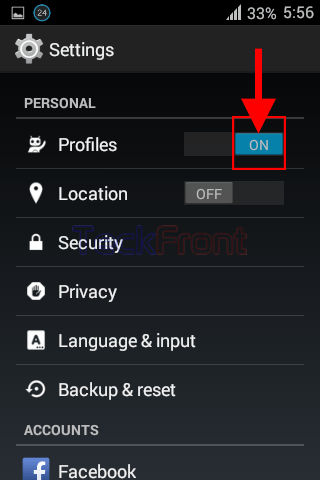 How to Switch ON the Profiles in Android 4.4.4 KitKat Devices? Profile feature in Android OS helps the users to set and choose the apps and working environment of smartphone, according to the working environment of the user. You may set many apps or app groups as per your environment in which you are using the Android device. Profile is a set of apps or group of apps which can be available for the use in a specific profile. 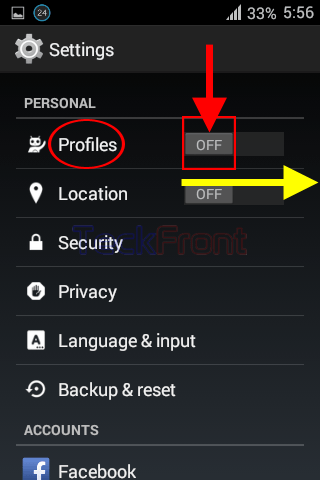 But if you do not like any profile and remain on default set of apps, you may either disable or enable the profile by simply switching on or off the profile, altogether. It is easy to switch on or off the profile but if you need any help, see the instructions. You may switch on or off profile in 2 ways. Command Line: Settings > Profiles – PERSONAL > ON/OFF. 2a: At the ‘Settings’ screen, scroll down to the PERSONAL section and tap the ‘Profiles’. 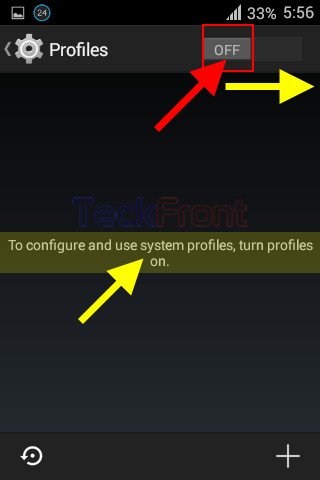 3a: See the color of the switch is Grey and the screen message displayed there by Android is: ‘To configure and use system profiles, turn profiles on’. 4: Tap the switch of ‘Profiles’ and drag it to the right to turn it ON. 5: See with the change of the color of switch to Blue, a list of profiles will become visible. 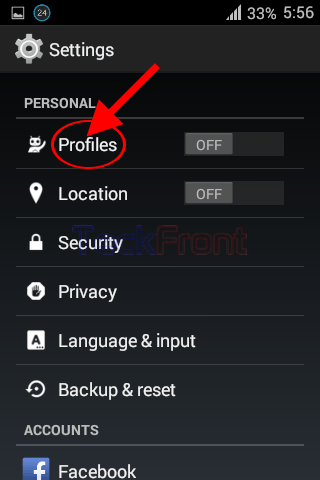 Now, you may choose from the profiles as per your settings. 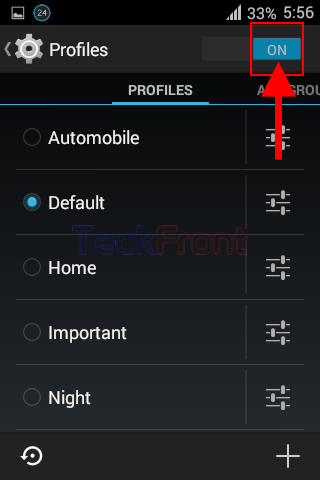 Newer How to Reset All Profiles to Default Settings in Android 4.4.4 KitKat? 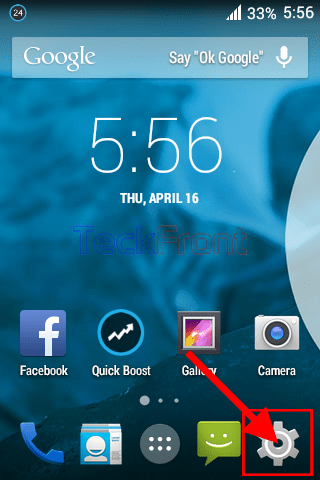 Older How to Set Home Button to Answer Calls in Android 5.0.2 Lollipop Devices?